A recent Deloitte Global Human Capital Trends study has included 2,500 organisations across 90 countries to find out that companies are struggling to engage modern, 21st-century workforce. 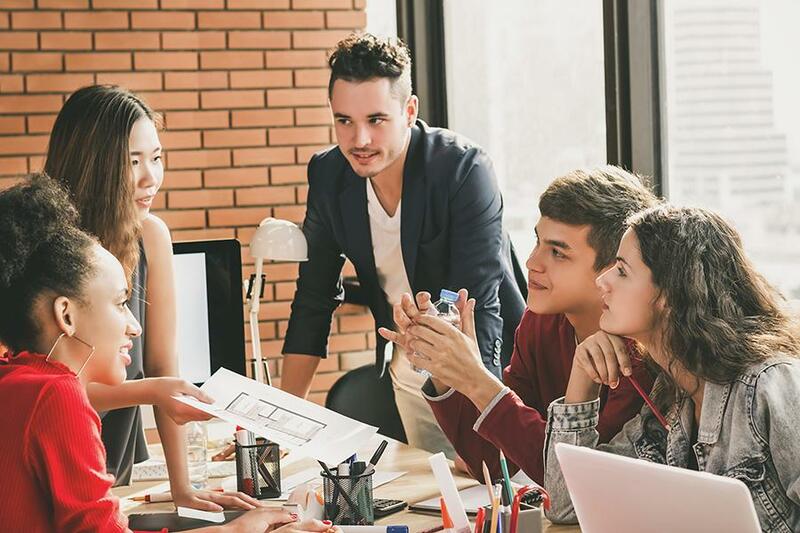 More than the culture gap, it is a never-ending struggle between workplace cultures that are driving away millennial talents or are making them wary of corporate setups. This lets us to believe that today, employees want more. They want cultures to bloom as conducive to their sensibilities, where their employer is much reciprocative of their work, offers meaningful responsibility and makes their work culture more rewarding and enriching. Today, building a strong workplace culture is one of the underlying challenges of any business. With today’s workers (read: millennials) wanting a culture that recognises and rewards them, and is embracing of their values, commitments, attitudes, and belief; the job of the employer has become a tad more challenging to offer a culture that is conducive to all. Smartphone generation in most cases are the wizards of their work, and are aware of their worth, that makes them irreplaceable at any workplace. Workplace Culture defined as a means to create a vision and outlook of the business that defines it to the outside world, today, is intrinsically built-up of smart talents who want the organisational culture to reflect their own sensibilities. Today being the time of greater inclusion of work talents into the organisational framework, the need is to have a people-centric culture that allows for significant employee contribution, which in turn leads to better customer appreciation. A solid business culture offers to its stakeholders – Transparency where the employee knows his responsibilities, goals, and means and is confident that the company will back him in the pursuance of greater efficiency. It also offers empowerment along with a Sense of Ownership where the employees come to take the business as their own and finding everyday solutions and executing them. Organisational Design also plays an important role in building the foundation of a company culture where the incorporation of organisation policy, processes, and vision combines to give the business its unique fabric. We are of the opinion that no one fails at maintaining culture. Either we maintain the right culture or we maintain the wrong culture. Either way, your company will always have a culture it is known for. So why do companies miss the boat of building a culture that is positive and helps in attracting, retaining, developing and engaging employees? We might have the answers. Leaders do not believe in the intrinsic culture or values or, at most times, business emergencies and results get in the way to live the values or behaviors. Either way, the priority for culture is lost amongst other priorities like – Business results, cost cutting etc. which are not managed well, eventually resulting in sending out the wrong message to the employees. Managers may not be aligned – Statistics show that over 40 percent of managers are on the fence and do not believe everything that the leadership launches or initiatives. They just consider it as just one more project which will pass by. • Managers are aligned but do not get enough or right messaging or “ how to” – Since they may not have the best example of the company culture in their supervisor they would have challenges in duplicating the right behaviors the company expects. There is confusion with one messaging all around on what the company stands for but the supervisor demonstrating something else. Another impediment could be that companies do not invest in education and interventions which will allow managers to learn on addressing this concern or reassuring what the company stands for. When there is lack of communication, education, feedback mechanism and opportunities to demonstrate the organisation culture many times over then this segment of employees lose out the most. Everyone will not live the values but we need to reach the threshold which multiple to display and then culture is demonstrated by the majority of employees. It may be believed that a successful business culture begins by accepting the changes around us and incorporating them into our business methods to make it much relevant to today’s times. It is said that “The one who doesn’t change with time, is changed by time”, and it holds much truth to business cultures as well. To create a winning business culture, the change in the mindset has to germinate in the highest mindset and percolate to the lower rungs in the organisation. Till the time the entire cog piece doesn’t fit in well, none of the business strategies can be in motion. Having the right mindset is the first rung to success and how an organisation goes on to build the right mindset, enables it to build the innovative environment that will allow the business to flourish in a better sense. By creating a culture of risk-taking; by challenging the status quo; and by embracing failures just as you celebrate success, you can build a business environment that is a world-beater in the truest sense. Remember the Big S – Success, comes from the Bigger F – Failure, and the only constant to sail you through is your business culture which you will have to build ground up. Remember, building a culture-driven organization is all about creating the beliefs, which become intrinsic to the business and putting them into action for better business fidelity. Once these actions are put into motion, these beliefs will eventually turn the company’s processes, and take you into the direction that the business prospers. By Zubin Zack, managing director, O.C. Tanner – Global Employee Recognition and Engagement Company.